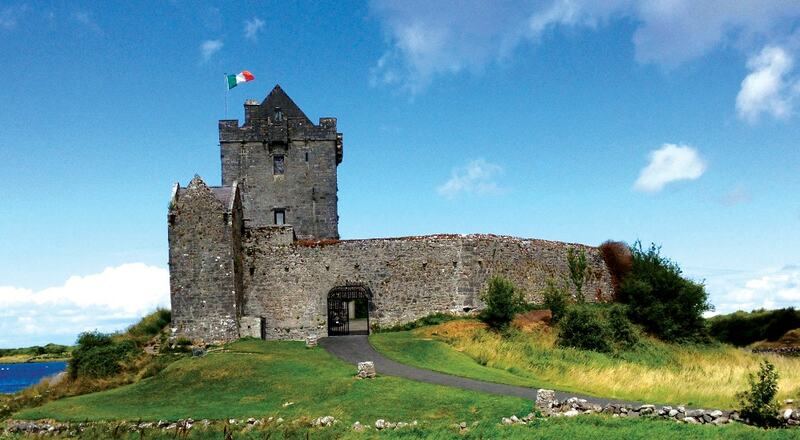 Dunguaire Castle is a 16th-century tower house on the southeastern shore of Galway Bay near Kinvarra. The name derives from the Dun of King Guaire, the legendary king of Connacht. The castle's 75-foot (23 m) tower and its defensive wall have been restored, and the grounds are open to tourists during the summer.